Black and Pink Polka Dot Double Layer Cosmetic Bag $3.30 + $1 Shipping! You are here: Home / Great Deals / Amazon Deals / Black and Pink Polka Dot Double Layer Cosmetic Bag $3.30 + $1 Shipping! If you are looking for a great deal on a cosmetic bag, I have one for you! 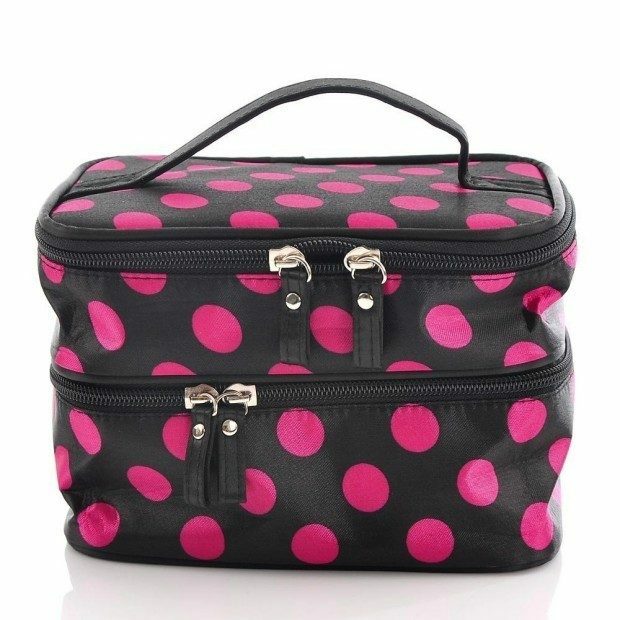 Head over to Amazon and get this Black and Pink Polka Dot Double Layer Cosmetic Bag for just $3.30 plus $1 shipping!